Annuities vs. life insurance, they both have their similarities. However, they have different purposes when it comes to your financial needs. Annuities are designed to help supplement your income in retirement, while life insurance policies protect your dependents in your absence. While they both seem like viable options for additional income, there are some details you should be to be aware of. Here’s a breakdown of annuities and life insurance policies to assist in determining which investment might be right for you. What’s Best for Your Income Needs? An annuity is a financial product that helps pre-retirees or post-retirees create a guaranteed income stream for an amount of time. With an annuity, you pay a financial organization a specific amount of money in a lump sum, or in a series of payments, in exchange for a guaranteed recurring return payment. 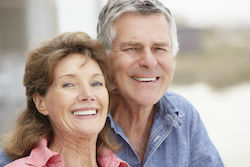 Typically, annuities are referred to as deferred, immediate, or longevity contracts. Deferred annuities delay payment of the guaranteed amount until a later date, once the premiums have been paid in full. It is designed in two main phases: the payment phase and the income phase. Deferred annuities can be broken down into fixed annuities and variable annuities. Fixed annuity: This annuity contract is an accrual of capital on a tax-deferred basis. A life insurance company guarantees a fixed interest rate on the principle amount. This contract can be used to guarantee an investor a certain income for retirement or a specific term. Variable annuity: This annuity contract is also a tax-deferred retirement vehicle, however, you select from a list of investments. Then you receive a level of income throughout retirement based on the performance of that investment. There is more risk involved when investing in a variable annuity, but it provides the opportunity to receive a greater payout. Immediate annuity contracts begin to pay an investor no later than one year after purchasing a policy. You pay an initial lump sum and then the contract will begin paying out a specific amount. These policies are designed for people who want to supplement their income for life. A longevity annuity is a type of a fixed annuity. This contract can be issued at any age with a deferment up to 45 years. Usually, these plans don’t kick in until you turn 80. They are designed to supplement your income when your other sources may be depleting or have stopped all together. If you’re fearful of outliving your income in retirement, annuities provide a safeguard for your income. The biggest benefit annuities offer is a guaranteed income throughout your golden years. Annuities provide benefits to beneficiaries but they are not tax-free. Some annuities also come with a feature that allow you to pay additional amounts. This helps you to keep pace with the rise of inflation rates. Heading into retirement you want to make sure you have as much buying power as possible. Similar to life insurance policies, annuities tend to have hefty commissions. You will end up paying this amount upfront that will cut into your income or payment. If commissions weren’t troubling enough, annuities have high surrender fees. This fee can be as high as 7% depending on the number of years you’ve had the contract. Also, after you hit 59 ½, you are required to pay income tax on any gains from your investment. Stocks and bonds have more favorable tax treatments. Annuities should be a consideration if you need some income protection in your later years. If you don’t have enough wealth to support your lifestyle until you are 90 or 100-years-old, this additional income stream may be useful. Decide the amount of income you will need in retirement and then subtract your Social Security benefits, 401(k) distributions, and other sources of income such as pension payments. When you reach retirement, you may want to consider purchasing an immediate payment annuity to fill in the income gap. If you’re a younger investor and have maxed out your other retirement account contributions, you could consider a viable annuity. Be sure to compare all annuity options to ensure you’re not accumulating high-fees for your investment. Some financial institutions may offer low-cost annuities. Life insurance is designed to protect your loved ones after your passing. It’s meant to pay for your final expenses, debt, and supplement the income of your dependents. Life insurance is divided into two categories: a permanent or term policy option. Term life insurance provides coverage for a certain term- 10, 15, 20, 25, or 30 years. Permanent life insurance provides coverage for your entire life. These policies tend to be more expensive, but provide a cash value and death benefit component. Even though permanent life insurance offer a cash component and the opportunity for investment, the main purpose is to provide financial relief to your dependents. A popular form of permanent insurance is whole life insurance. In the instance of whole life insurance, the insurer will credit your cash account based on the performance of your investment portfolio. Another type of life insurance, referred to as variable life insurance, allows the policyholder to increase the potential growth of their investment component by investing in stock, bonds, or a money market account. While this may allow for substantial growth, it can also be risky. Unlike traditional brokerage accounts, your cash/investment gains can grow tax-free. However, once you decide to distribute the account you will be taxed on your gains. Many life insurance policies come with hefty management fees and upfront cost. With some policies, you will end up paying 50% of your premiums to pay for the commissions. This takes a chunk out of the savings component your policy may offer. It’s also important to note that many policyholders allow their policies to lapse within a few years. This could result in minimal returns (if any). Instead of pouring all of your money into a permanent life insurance policy, you may want to consider purchasing a term life insurance policy and then invest your excess income into another tax-deferred savings vehicle. These accounts include 401(k) plans or IRAs. With these accounts you may have a greater opportunity to grow your portfolio with lower investment fees. If you have maximized your retirement accounts, investing in a life insurance policy may be a viable option. You will want to select a lower fee provider and have a longer timeframe. Which is better for your income needs? In order to determine which policy is right for your needs, you need to look at the purpose of each policy. If you’re concerned about your beneficiaries’ financial well-being, life insurance may be a viable option. A life insurance policy will assist your beneficiaries in paying your final expenses, your debt, and potentially supplement their income for the remainder of their lives. Conversely, if you are looking for ways to supplement your income in retirement, you may want to consider an annuity policy. An annuity will provide tax-deferred income and future income. Simply put, life insurance protects your loved ones if you die unexpectedly and an annuity protects your income if you were to live longer than you anticipated. Everyone has different financial needs heading into retirement. It’s important to weigh out your options and find the best investment for your needs. At Term Life Advice, we work with 63 top-rated life insurance companies to help our client’s find the most affordable life insurance coverage. We also offer no exam life insurance if your schedule is too full to meet with a nurse, or if need insurance in a hurry to collateralize a business loan.